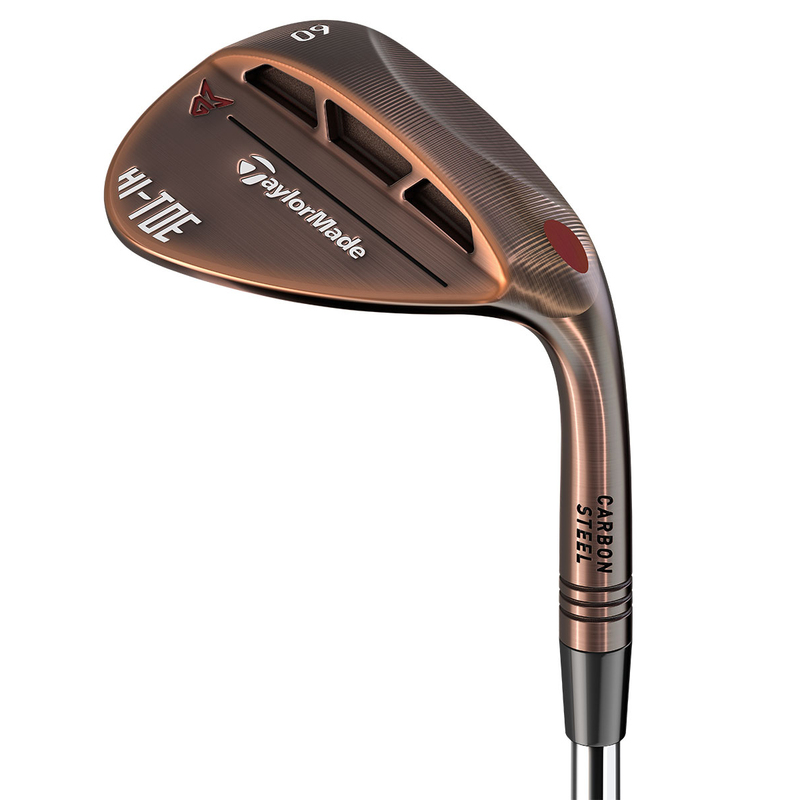 This revolutionary HI-TOE full-face score lined wedge, has an expanded toe area to provide increased spin control all across the club face. 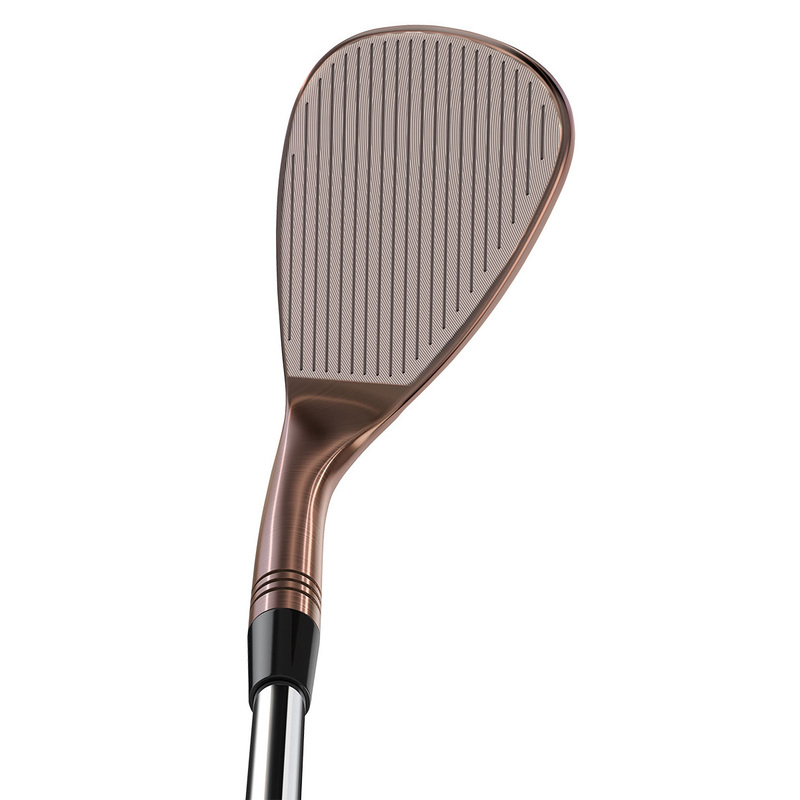 The wedge has a beautifully refined copper finish, with high bounce leading edge for less resistance on belly type strokes, and has a channel cut mid-sole to prevent any access digging for more consistency . 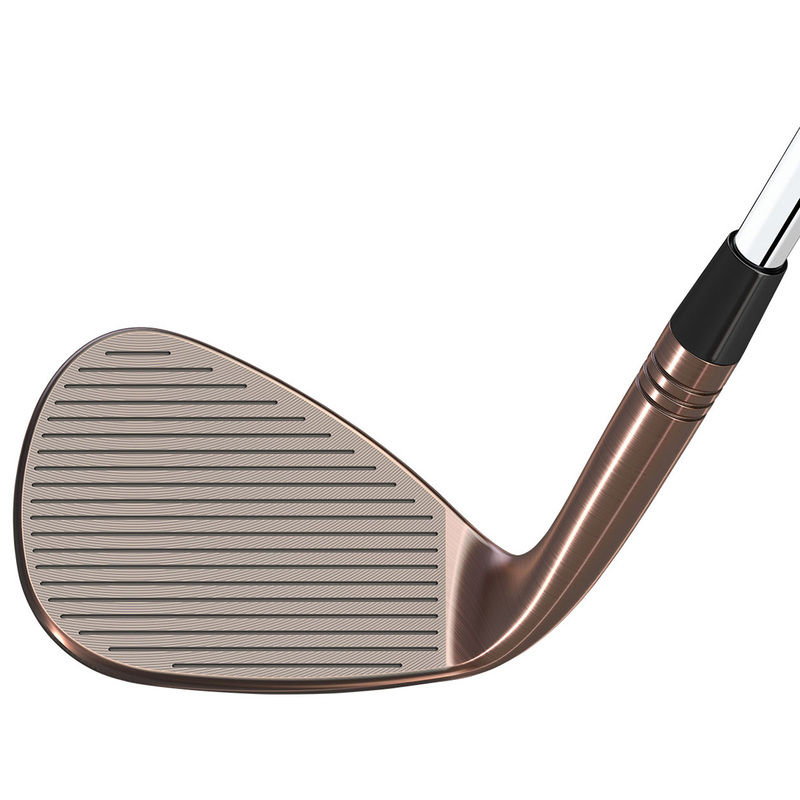 Plus has an enhanced heel, toe relief and trailing edge to provide maximum shot versatility around the greens. Other details include a sole cavity, with 3 trapezoid-shaped pockets to increase the CG location, and comes fitted with premium components, a KBS steel shaft and Golf Pride grip.